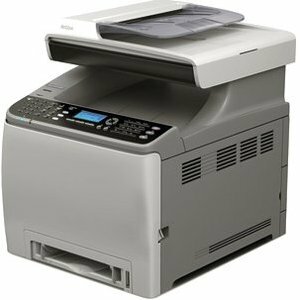 The Ricoh Aficio SP C242SF Desktop Color Laser MFP offers impressive copy/print/scan/fax performance in a small footprint. Meet everyday workflow demands with a host of productivity enhancing features and produce documents in vibrant color for lasting impact. Designed with user-friendly controls to simplify administrative tasks in any environment, this multifunction system offers all-in-one performance to complete more jobs in less time. Whether the SP C242SF is used as a stand-alone, primary MFP or as an integrated component in a Ricoh Managed Document Services (MDS) strategy, you'll realize the true value of versatility and convenience.